Our next meeting is taking place 4 March at 7pm at LARC which is located at 62 Fieldgate Street, E1 1ES. Anyone is welcome to attend. 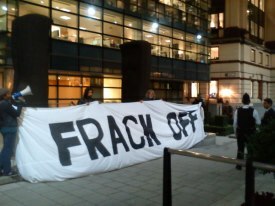 Just send us an email to let us know you’re coming – info@frackofflondon.org.uk. Previous postJoin Us 19 March for a Fracked Future Carnival! Next postTOMORROW – Fracked Future Carnival!! !